OLD PARKED CARS. : 1971 Audi 100 LS Automatic Sedan. 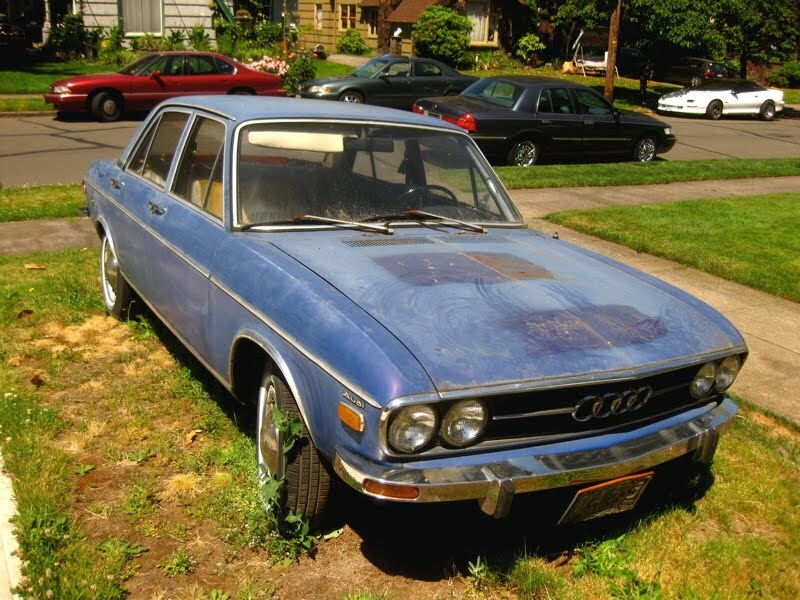 1971 Audi 100 LS Automatic Sedan. That makes 2 insanely rare 70's Audis in Portland. 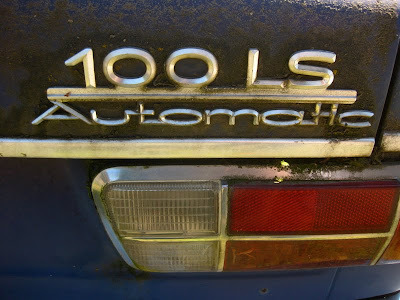 Not saying it was a GREAT car, but cars like this were probably laid up for extended periods while standard repair parts were obtained, more than anything else. Except for the Opel Kadett. Now THAT was a Eurocrap POS! 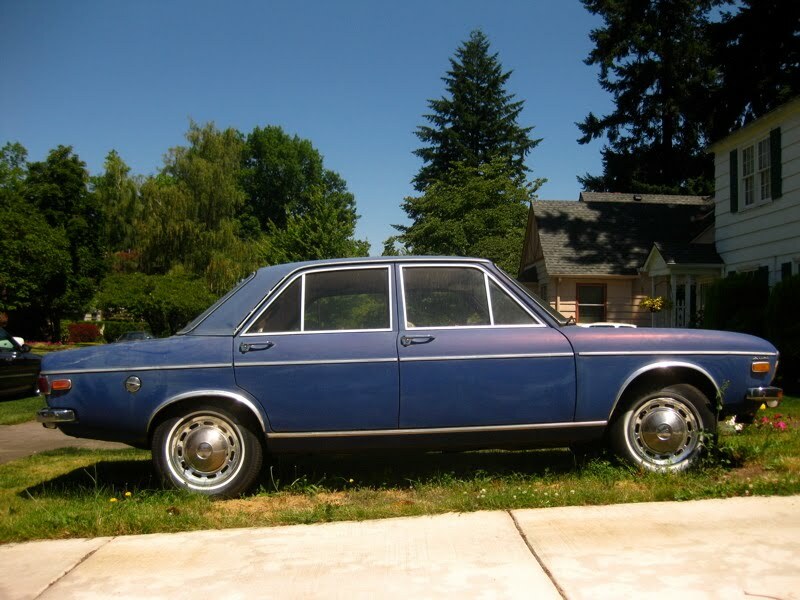 My first car was an '75 Audi 100 LS and it was a great car for $1800. 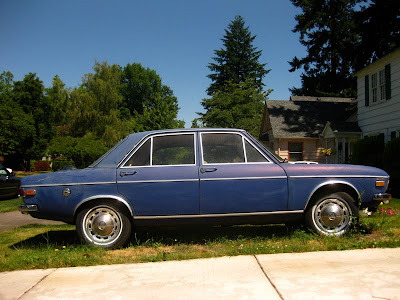 It was a one owner with only 75k miles on it when I bought it in '85, it ran like a champ and took quite a beating from me without needing too much in the way of repairs; sadly it was totaled late one night as I was driving home from a concert and got t-boned by a lady in a Honda. I really miss it now, it was unique and I hardly ever saw another like it when I had and never see any that even remotely close to that old at all these days. 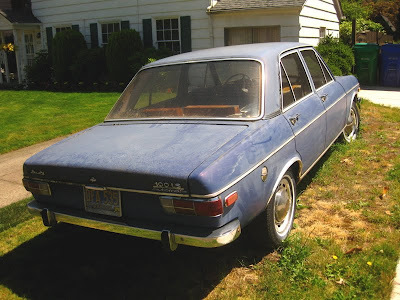 Very cool car I had a 1974, a huge pain in the a**. 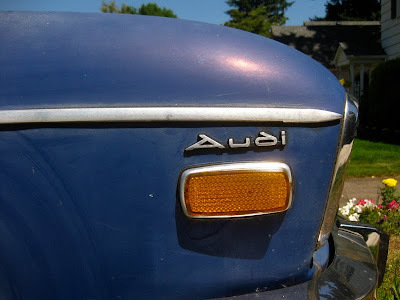 I fixed the biggest problem by removing the solex carb and putting a Weber on it. It got lots of attention though.